Choosing a woodland burial is an important decision; to be buried in harmony with nature, to enhance the environment rather than destroying it, to leave behind something that will be of lasting benefit to our children, grandchildren and generations to come. The brochure contains information that is also covered on the website. 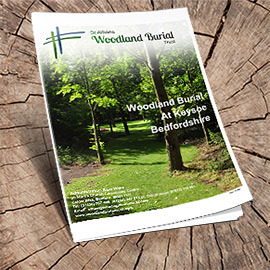 It explains most questions which you may have about woodland burial and the way the St Albans Woodland Burial Trust operates. If you wish to know anything further, please do not hesitate to contact our Administrator Samantha Ware who will be pleased to help you. The Funeral Booking Form is an essential step in the process. 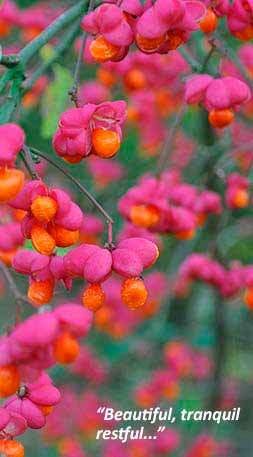 It outlines our regulations and the charges pertaining to a Woodland Burial on Trust Land. 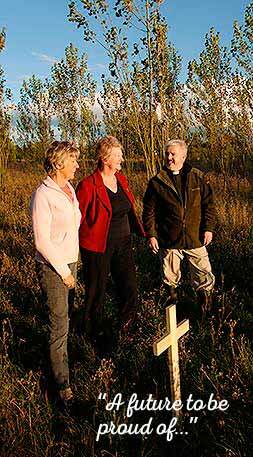 By raising awareness at this stage, it helps preempt any problems, preserving the serenity and dignity of burials in our consecrated woodland. You can download a copy immediately by following the image link, but whatever your personal situation, our administrator, Samantha Ware, will be pleased to meet and assist you should you need help; including a meeting at the woodland to show you the possibilities available. The document is in PDF format and supported by all the new Browsers. Simply read the form then complete, sign and return the third and fourth pages together with any appropriate payment amount. The first and second pages are for your ouwn records and future reference. Obviously terms and conditions can change at short notice, but the website will always be here with the latest information. 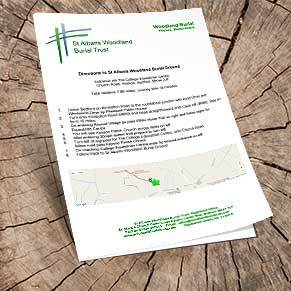 A smaller, condensed version of our Complete Woodland Brochure (see above). 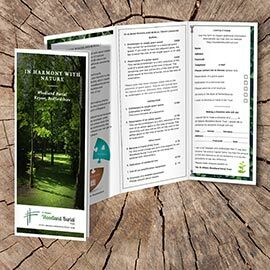 As a tri-fold booklet it is much easier to carry around and is often the first information people see regarding the Woodland and the peace of mind it can offer. 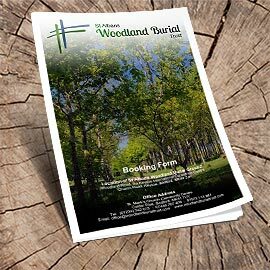 It addresses the reasons why people would consider a woodland burial, costs, options and a form to easily request further information. 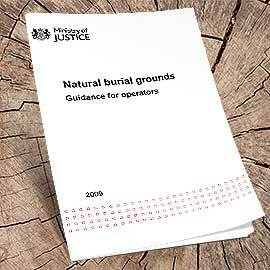 The Department for Constitutional Affairs has prepared this guide for Burial Ground Managers. A number of guides or reference documents already exist for those whose duties are wholly or partly directed to the management of burial grounds. For the most part, however, existing guidance has been designed for use by managers of particular types of cemetery or churchyard (such as the larger municipal cemetery or Church of England churchyard). 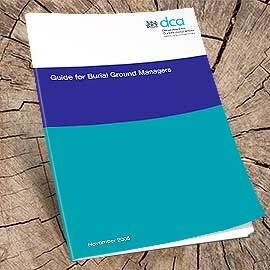 The purpose of this guide is to draw together in one place general but relevant advice for all burial ground managers, with pointers to where more detailed guidance and training may be obtained (Annex A). It sets out to ensure that burial ground managers are familiar with the legal framework within which they operate, encourages consistent but challenging levels of service and standards for the bereaved and the wider community and promotes appreciation of, and commitment to, the wider role of burial grounds in the environmental, historical and cultural life of the community. Just a couple of pages of A4 paper with some simple directions to find the Woodland Burial site at Keysoe. If you prefer, our Woodland Contact page has an interactive map, and perhaps more importantly, a personalised, computer generated direction finder - just pop in a post code and print off the results.